The Japanese chefs are renowned for their precise and delicate cuisine. This professional knife coming from the Laguiole Expression range takes the lines of Japanese kitchen knife whose balance effect eases the cutting. 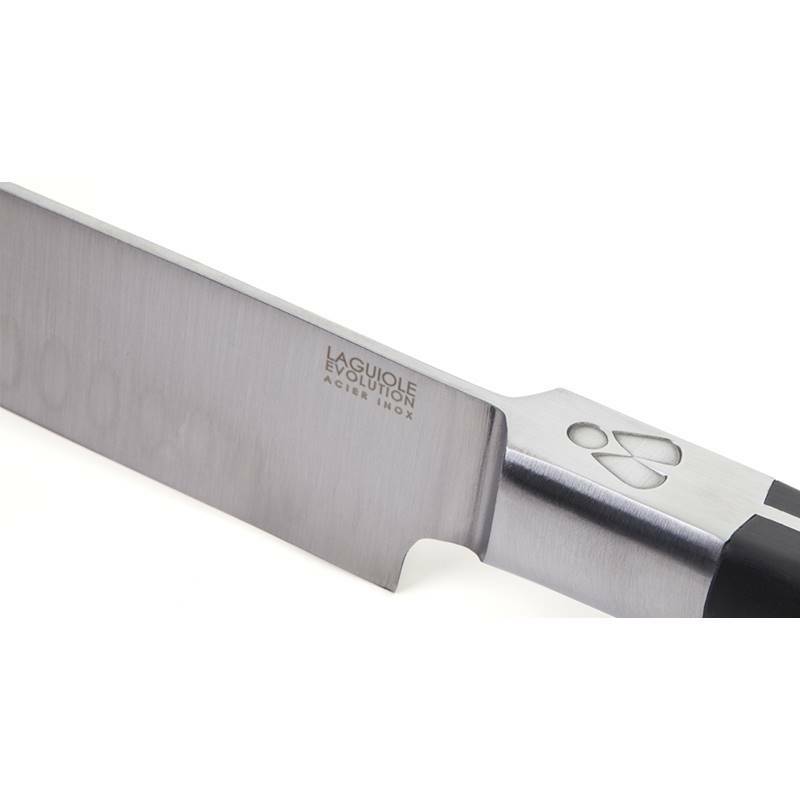 Tarrerias-Bonjean manufactured a very efficient versatile knife that associates the graphic lines of the santoku knives to those of Laguiole knives. 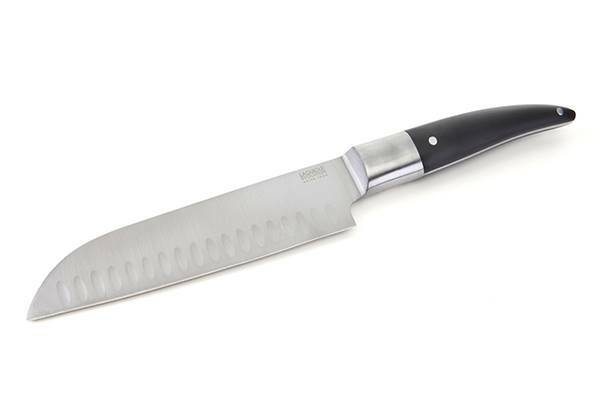 The Design and Creation department of TB Groupe manufactured a very elegant kitchen knife. 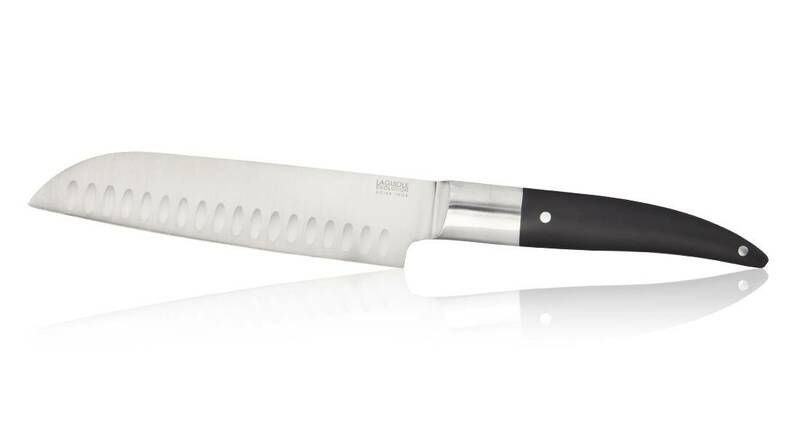 Coming from the classic style of Laguiole knives, this santoku reinvents the emblematic lines. Its ergonomic handle perfectly sits in your hand to ensure manoeuvrability, flexibility and agility. The full tang forged blade of this Laguiole Evolution santoku knife ensures outstanding robustness; its polish bolster reinforces its modern aspect. 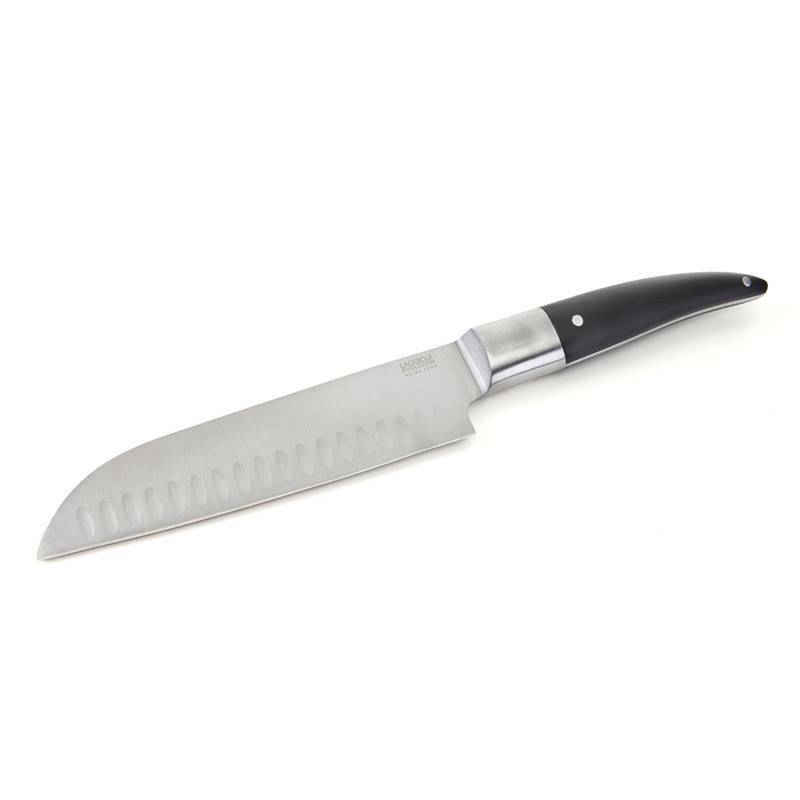 Polished and finished by hand, this Japanese kitchen knife is a wonderful gift to make. 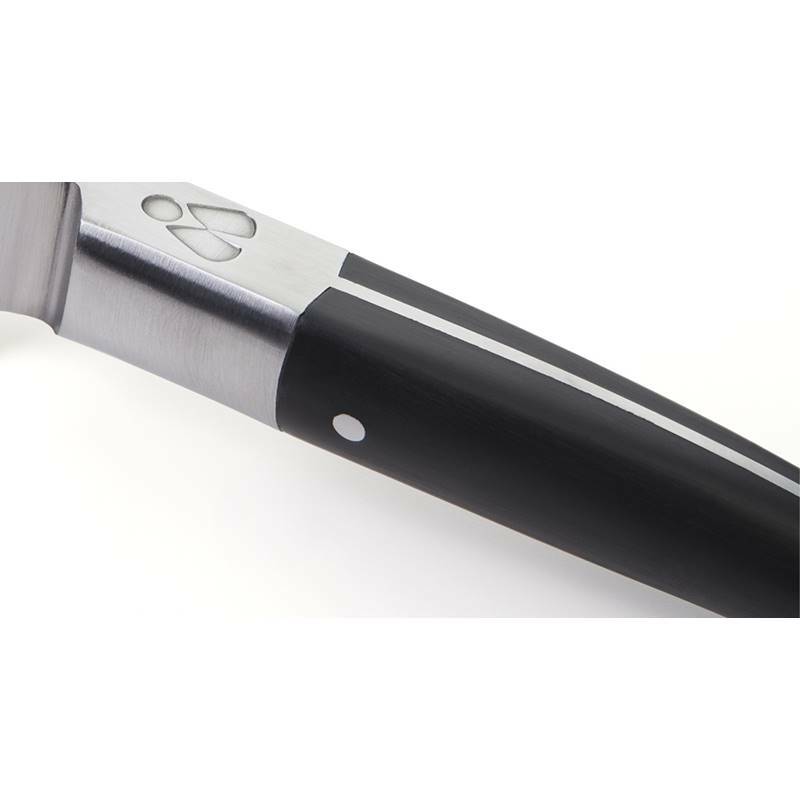 You can deliver a personal message as the blade can be personalised by laser engraving.